Register Log In Home Forums Lawn Mower and Small Engine DIY snowblower impeller enhancer..
69 registered members (Amenhotep, bbhero, 4WD, Astro14, 2015_PSD, 08z06, 8 invisible), 848 guests, and 32 spiders. I found a cool use for the scrap rubber impeller from my Ariens SS522. I cut some sections out of it for use as a "Clarence Kit" for my two stage 7hp/24" machine. The 24" has a 3-bladed impeller with lots of clearance between it and the impeller housing. I used some Gorilla Glue, some 1/4" hex head, self drilling, self tapping screws with fender washers and picked up a 12" quick change hex bit extension from HFT to reach down the discharge chute, without having to take anything off. Cut 3 somewhat close to rectangular sections of the hard rubber auger material (with a hack saw) and gorilla glued them one at a time to the leading face of the impeller blades. I held them in place with vice-grips until they set. Then zipped in the self tappers w/ washers. Two per blade. They went in like butta and snugged up nice. Come winter, we'll see if they'll be a help, a projectile, or just jamb up the works. LOL. Last edited by JTK; 09/14/14 11:41 AM. Pictures would be nice, if possible. I'm toying with doing the same thing before the winter sets in. I've done this mod to many snow blowers, it is definitely worth doing for the price, and can breathe new life into old and worn out machines. It does help throw the snow further, but the biggest difference in my opinion is the slush performance. The kit helps power through slush and prevents the chute from clogging. I do this to all the older snow blowers that I fix up to sell, and even some newer ones. You'd be surprised how much of a gap there is around the impeller on newer machines. Some come like that right from the factory. Here is the one I did on my 1978 Toro 826. I used hard rubber paddles from a Toro S-620. I found the replacement rubber paddles for $10. Yep, thank you Jeepman. Mine is not as pretty as Jeepman's, but essentially looks the same. The MTD impeller is a bit different, with the long side of the rectangular shape parallel with the auger. My ~15yr/old MTD is a rusty mess as well. 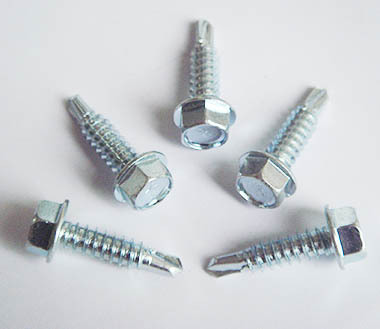 I'll have to see how well the self-tapping screws hold-up compared to nuts/bolts. I did this to my new to me Ariens 922002. It moves a lot more air than before doing it. We'll see in a few months how it works. Glad you were able to get a second use out of that old rubber paddle! I love re-using stuff destined for the landfill! I cut up an old motorcycle tire as a rubber source. Used a sawzall, man did that rubber stink! I have concerns about the self tapping screws, but you'll find out! There's lots of YouTube vids on that, yes it helps greatly on blowing performance. Hopefully the gorilla glue will pick up the slack. LOL. I hear you, but I had to try it. I used two of these per blade, with big fender washers on them. I was surprised at how easily they drilled through the ultra high quality MTD metal. I don't think the self tapping screws will be a problem. The impeller is always turning in the same direction, and has just the snow pushing against it. If you were using it as a wood chipper they might come loose but I doubt you will have any issues. Especially with that ultra high quality MTD steel, haha. Any idea where I can get material for this project? I don't have any used tires or single-stage blower paddles. I was considering a nylon cutting board but the material doesn't seem flexible enough. Other scrap plastics I have come across are too flexible or too thin. I saw a guy use pieces cut out from a cheap polypropylene kitchen cutting board. It worked pertty good. Go buy a rubber driveway squeegee. $15, and it comes with 6 screws, enough rubber to do 2-3 paddles, threaded holes to hold the screws, and some stock to cut up for washers if wanted. Get busy with the angle grinder cutting everything up to fit. Bror, to me, that's the biggest challenge. If I didn't have the scrap Ariens rubber impeller on hand, I probably wouldn't even have thought of this little project. The Ariens paddle material is quite thick and stiff. Almost more plastic like than rubber. Last edited by JTK; 09/15/14 07:44 PM. If you don't use a snow thrower paddle, the best material for that is conveyor belt rubber with at least 3 layers. If there is any industrial production in your area, check with them to see if they have any belts they're throwing away.